This has become one of our regulars for dinner! 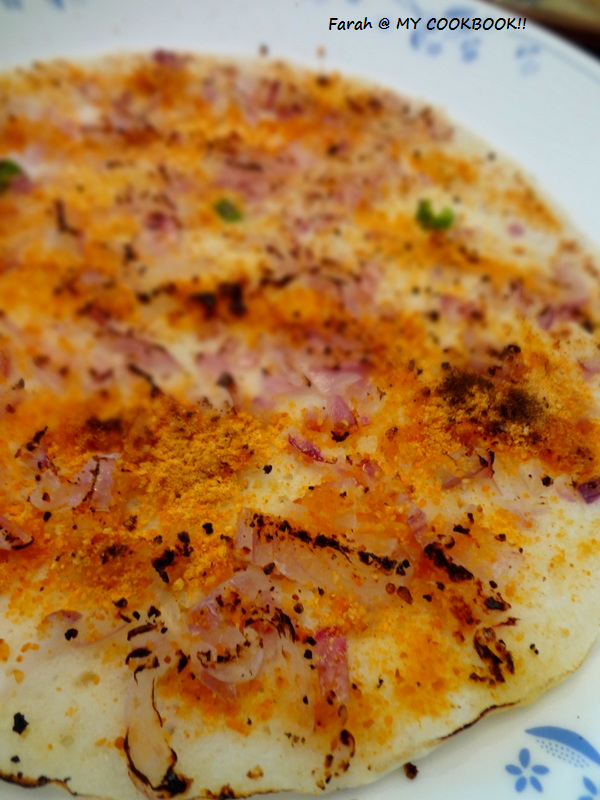 With a generous amount of chopped onions and idli podi , this has enough flavours to be eaten without any chutneys or sambar. Pour a ladle full of batter on the dosa tawa. I dont like it too thick. Top with some onions and green chillies. 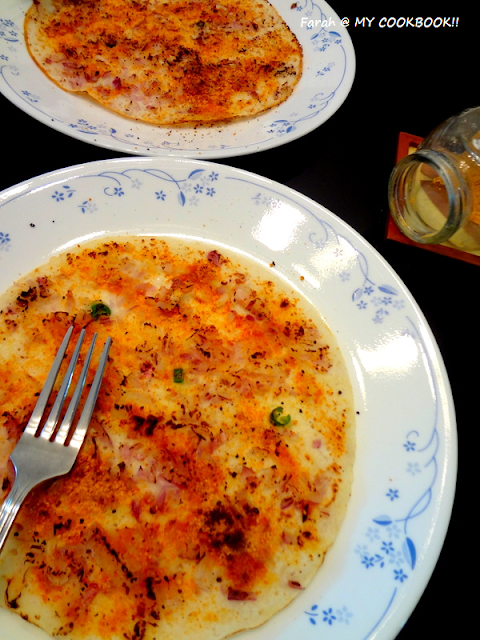 After the underneath has become slightly browned, flip the dosa to the other side. If you want the onions soft. 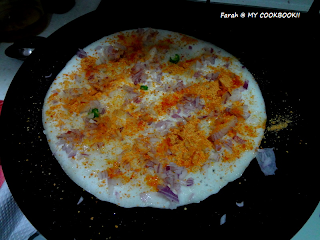 cover the dosa after sprinkling the onions and idli podi. 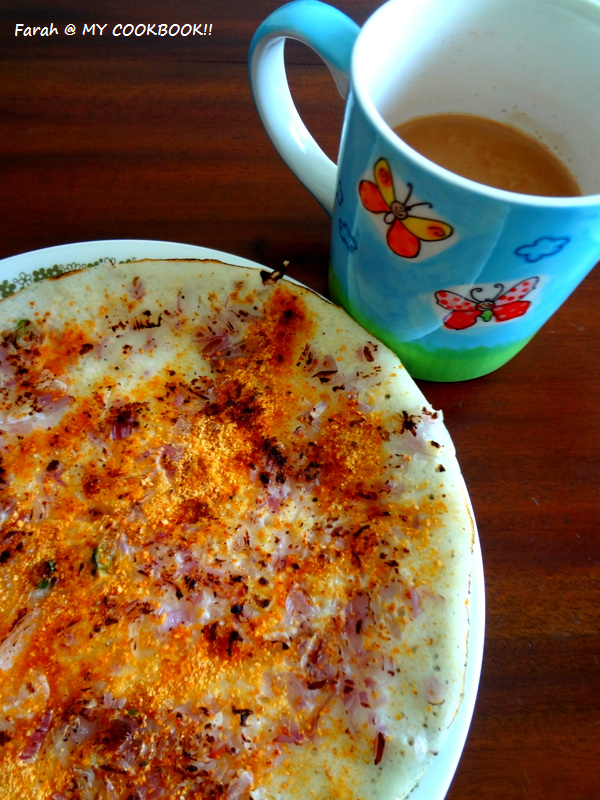 wow its so tempting farah.. nice click..